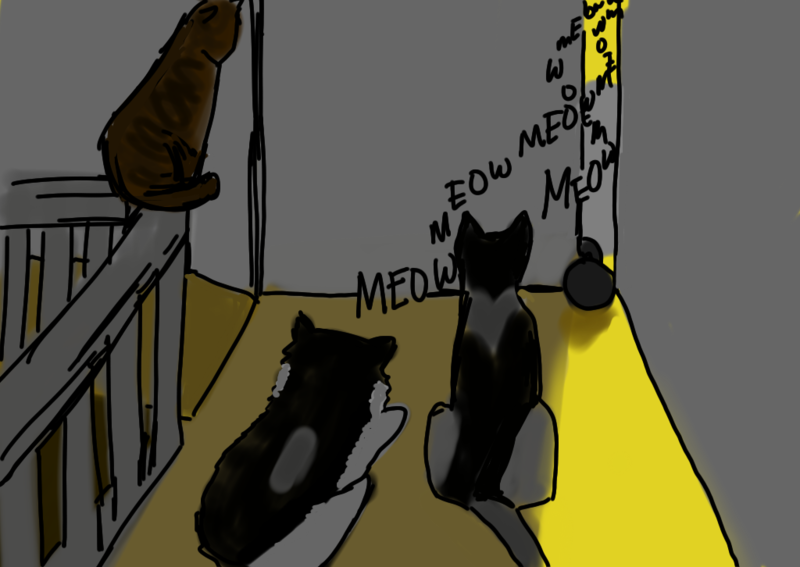 Neko and Leia have taken to meowing us awake in the morning. When I stumble out of bed and pour some cat food into their bowls, they sniff, eat a few pieces, then wander off. Not hungry, then. They just want us up and out of bed. So I pick them up and cuddle them a bit, and then they go off to nap. One day, W- had an idea. 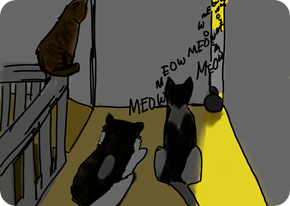 We got revenge on the kitties by meowing at them while they were napping. The morning meows stopped for a while. Now they’re back again. I guess sometimes aloof kitties just want company.